Among the many hormone tests performed to determine infertility, there is a blood test that measures the levels of AMH (Anti-Mullerian Hormone) also known as MIS (Mullerian Inhibiting Substance). Why are doctors wanting to know what AMH level you have? AMH levels are tested to help doctors determine ovarian reserve. AMH is produced directly by the granulosa cells in the ovarian follicles (egg sacs or cysts). AMH is first made in the primary follicles as they advance from the primordial follicle stage. AMH levels continue to rise and AMH production is highest in preantral and small antral stages (less than 4mm diameter) of development. Past this point of growth AMH levels decrease and eventually stops as the follicle continues to grow. Follicles over 8mm diameter produce almost no AMH. A woman’s body contains millions of follicles at birth, but over time the number of follicles may decline. Doctors use this test to measure the amount of growing follicles in the ovaries. Women with low levels of AMH indicate low levels of follicles and produce lower levels of immature eggs. It is very normal for an older woman to have a lower AMH level, because it is a known fact that both the health of the follicles and the number of follicles declines over time. Women with many small follicles, typical in women with PCOS, usually have higher levels of AMH. A test result of high AMH may indicate PCOS and is also used to determine excessive or poor response to ovarian hyperstimulation (hCG trigger shot/IVF preparation). Low levels of AMH in women under the age of 40 may also indicate Premature Ovarian Failure. Premature Ovarian Failure (POF) is also known as Ovarian Hypofunction and is defined as a loss of normal ovarian function before the age of 40. Doctors use this test result to determine if you are a good candidate for IVF. It may help them to determine if they should go forward with IVF or not. It may also be used to determine if you may be able to conceive naturally on your own. I am never one to take a test result that sounds negative and allow it to define my life. If you have a low AMH level, there is still a chance you will go on to have a baby! No one can know for sure if you will have a child or not. You can choose to have a positive outlook. It is important to realize that this type of test is relatively new and not completely understood by the doctors themselves. Do not worry about the cut off values of the above table, these are general guidelines. For example, the difference between a 0.6 and a 0.7 ng/ml test result puts a woman in a “different range” in this table, but there is very little difference in her fertility potential. There are other tests that can be used in combination with the AMH test to help determine if in fact ovarian reserve may be low. According to the studies I am going to share below, the word reserve in relation to the ovaries may become obsolete in the future. It is extremely important to protect your egg count and health now. It is possible to increase the health of your eggs, which may help protect egg die off, which may help to sustain egg count. Studies in mice have shown that female mammals can produce egg cells throughout life. The studies showed that follicles may not originate in the ovaries themselves, but within the bone marrow. In 2007, the Journal of Clinical Oncology reported that scientists of the Massachusetts General Hospital (MGH) gave mice with diminished ovarian reserve bone marrow transplants and they began producing follicles once again. These studies are hopeful for the future of infertility, especially POF. These follow-up studies give hope for the future of female infertility, as well as how to treat it. While bone marrow and/or blood transfusions used to restore follicle production is not currently being practiced, the advancement of the this technology over the years is exciting and hopeful! How Does Egg Health and Count Decline? AMH levels are not thought to determine the quality of the eggs, which is good. So how can someone with a low AMH level increase the amount of follicles they have or support the health in maintaining the ones you currently have? As we age, the health of our eggs is affected by environmental toxins, poor food choices, circulation, free-radicals, stress, hormonal balance, illness, injury, genetic factors, autoimmune disorders, etc. It is very normal for the health of our cells to decline as we age, but we can also work to protect and support long-term health, which includes our egg health. To learn the full scope of the best ways to improve egg health naturally please read over our complete Increase Egg Health Guide because increasing egg health may help you to sustain the follicles you currently have. Supporting overall health will also help to support egg production over time because the health of the body directly impacts reproductive health. After controlling for both age and egg yield in a recent clinical trial conducted by Thomas Brodin, MD and colleagues from the Department of Women’s and Children’s Health, Uppsala University, Sweden, they found that “AMH was independently significant for both a higher pregnancy rate and live-birth rate.” Translated – the higher the AMH level, the higher both the chance of pregnancy and a live birth. Hi, I am trying for a second baby. I am almost 38. My AMH score today came as 8, a drop from 11 ,only 4 months ago. Can this happen in such a brief time? What can I do about it? I am so worried. Stress, poor food choices, low circulation to the ovaries, hormonal imbalance, illness, injury, genetic factors, autoimmune disorders and even lifestyle factors can all impact AMH levels. The test results may vary if they were done at different times of the cycle. AMH levels do not determine egg health/quality. Even though we know the health of our eggs (and all the cells of our bodies) decline with age, we also know that there are many ways to work to protect cellular health, including egg health. While it is important to support healthy endocrine system function, there may be few ways to impact declining AMH levels if this has happened as a natural part of aging. This is why we focus on naturally supporting the health of the remaining eggs, the eggs you still have. It only takes 90 Days (the cycle of an egg) to impact egg health. What you begin doing now has the potential to impact the egg preparing to be released 90 days from now. To learn the full scope of the best ways to improve egg health naturally please refer to our complete Increase Egg Health Guide. An IVF specialist can help you better understand chances of conception at their clinic/practice if you choose that route. Were you able to know why implantation was not successful? It may be helpful to know this. We know that natural therapies can boost egg quality, but we are not able to increase egg quantity, as each woman is born with the eggs she will have her entire number of fertile years. I think our best resource beyond this guide will be the guide How to Increase Your IVF Success Rate Naturally. The focus of that guide is not only egg health, but uterine health in support of healthy implantation. We want your next pregnancy to stick! A great area of focus Subha! I am 34 yrs old, have an AMH of 0.472, right tube blocked, left has a kink. Tried IVF 1 cycle with hormone injections, was able to harvest only 2 healthy eggs and only 1 developed as an embryo and cryo-preserved. What should I do to improve egg quantity and quality? help please! TTC for 4 yrs and had a tubal pregnancy once. Using natural methods like charting your cycle and monitoring cervical mucus can give you information on your fertility cycle which is important, but more over following a natural Egg Health Program and using fertility herbs can provide benefits to your egg health and may help support normal AMH levels. Supporting healthy circulation to the ovaries is important too… Fertility Yoga, Fetility Massage and a daily walk are all great. We encourage you to pursue follow up testing to see if your AMH or egg health changes over time with natural or medical therapies as well. I would like to know can AMH levels be increased .Can Fallopian tubes be blocked at a later stage, if someoene has already conceived. For example if a girl has conceived at a age of 21 years , now, if she is trying at the age of 34 years ,can Fallopian tubes be blocked automatically with age. Test results revealing low AMH levels indicate reduced egg quantity (ovarian reserve), but egg quality and chances for a healthy pregnancy may remain good. Egg quantity is not something that can be influenced. As women we are born with the eggs we will have our whole life. While you have read this guide, please also read the following guide for even more tips: Low AMH Levels: What Do They Really Mean For Fertility? We can and must keep the eggs we have remaining as healthy as they can be and natural therapies can be used the support the body in that way. Age is not known to block fallopian tube. There are many other reasons, from infection and sexually transmitted infections to scar tissues. Consider learning more from our guide Natural Therapies for Blocked Fallopian Tubes. I am so sorry for all you have been through! This very guide is designed to suggest natural therapies to learn more about. You may find our Free Egg Health Checklist helpful as well. You may also appreciate our guide Low AMH Levels: What Do They Really Mean For Fertility?. Hi. I am wondering if all supplements are OK to be taken together, along with progest cream. I am currently taking maca, vitex, prenatal, cod oil, ubiquinol and the cream. Vitex, Maca, a prenatal multivitamin, Cod Liver Oil and Ubiquinol can all be taken while using progesterone cream. This is fine! please send me the video” Self_Fertility_Massage” English subtitle. I am sorry the Self Fertility Massage DVD is not subtitled. It can be ordered here from the Natural Fertility Shop. My AMH was 0.4 in 2010 now it is 1.43. Why would it increase? I am not on hormone replacement, and my last pelvic US was normal. I was diagnosed in 1998 with ovarian failure, but in 2010 I started to have a period again. I know it is a strange history. My main question is why would the AMH level rise. I am not certain to be honest. May I ask how old you are? What have you been doing to help AMH rise and when was is recently tested to determine it’s at 1.43? Have you talked with a reproductive endocrinologist? It will help me to learn more about you. I am sorry you have these concerns! I am not sure Mal will see your comment, so wanted to offer support. The tips in this guide are great to consider and learn more by clicking any blue phrase (these are linked to more tips and information). May I know why you had the laparotomy and when? Do you have any known fertility health issues? Is there a certain day during menstrual cycle when you should have AMH tested? This will be best determined with you by your healthcare provider. Each facility/doctor may test a bit differently. I had some testing done , I am 31 and my AMH was 20. I also have PCOS. I not sure what this means. I have lost some weight also. I want to try for a baby without IVF if possible. It may be most helpful to talk to your doctor about what this AMH level means for you. Ask him/her if it is high or low, or cause for concern. That will help in determining the best natural course of action moving forward. As you do this, our guide titled How to Reduce the Damaging Effects of PCOS on Fertility Through Diet and Herbs may be helpful. It is important to support your body in re-learning balance by promoting healthy hormonal balance, a healthy uterine lining, regular ovulation, improved estrogen metabolism, reduced cravings for sweets and improved digestion all of which you will learn how to do in the article above. 1) woke up with sun, had 2 cups of warm water, sat down for 15mins and went for 2km walk in the early morning sunlight. Early morning sun light cures most of the decease. 5) very important thing – Pomegranate. I had one full pomegranate everyday which is a high fertility food or you can take one full cup of Organic pomegranate Juice. 6) Whenever possible sit on the floor with fertility yoga position. 8) after ovulation, eat lot of mushrooms and figs which helps for conception and avoid early morning walk but continue the evening 1. Thank you for sharing you story and offering support to Hannah! How great that the changes you made to support your fertility health proved helpful! I am hoping to help some of you on here. I am not a Dr., but spent years researching and going through infertility to get my kids. I just had my second child 15 weeks ago. I was diagnosed with a low AMH. 0.3. I did not do IVF. I did six months worth of acupuncture and 13, yes 13 IUI’s and have a perfect little boy. I was told to throw in the towel. Use Donor Eggs or Adopt. After six months of acupuncture my score went up to 1.0. Not sure how this can happen but it did. I also got my blood tested for MTHFR gene (blood clotting Disorder). Turns out was double homozygous. Women with this have trouble having a baby. Depletes all Folic Acid. Thank you for sharing your story and Congratulations! Your persistence paid off. How wonderful! Consider also learning why a defective MTHFR gene can impair fertility and pregnancy by altering folic acid absorption and elevating homocysteine levels in our article Defective MTHFR Gene Linked to Fertility and Pregnancy Struggles. Hello! I am also facing the same problem. I have a low AMH level of 1.6pmol and 0.2 ng/ml. I am 35 years old. I have a boy of 10 years and I want to have a second baby. My fertility is low. Please help me. I am tired of every month trying for a baby and each month I end with a negative result. Thank you for reaching out to us here! As we age there are a variety of factors that effect hormone levels, ovarian reserve and egg health from environmental toxins, poor food choices/lack of nutrition, poor circulation, free-radicals from stress, exposure to toxins on foods and in our environements, stress, hormonal imbalance, illness and injury, genetic factors, autoimmune disorders, etc. It is important to work to protect and support long-term health, including egg health. To learn the best ways to improve egg health naturally, take time to read over our complete Increase Egg Health Guide because increasing egg health may help to sustain the follicles that are still viable. 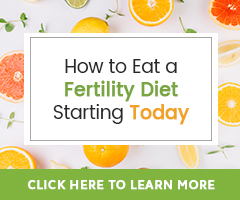 If you are still unsure of where to begin, or how to proceed after reading the Increase Egg Health Guide, please consider working one on one with our fertility herbalist who can lay out an entire natural fertility program for you based on your specific fertility health needs. This if offered through a Fertility Consultation. How often were you doing acupuncture? Thanks! How is it possible to have a low AMH level, but a normal number of follicles? Are the two not correlated? We have been trying to conceive for over 2.5 years and all test results were good with the exception of AMH. Our doctor told me not to worry about this, but I am confused. The AMH test is used to determine the number of healthy, growing follicles in the ovaries. As a woman ages the number of growing follicles and follicle health may decline. This happens at a different rate for each woman and may even happen when a woman is young depending one hormone balance and ovarian health and function. I am curious what your doctors answer to your question is. Have you asked? I am 30 years old and I have been trying to conceive for nearly four years now. I have never been successful. My periods are never on time. I had a blood test done in January this year in India. The doctor said that I had a hormonal imbalance and advised me to take Normoz tablets twice a day for six months. I also had a blood test done for AMH and its <0.30. He advised that I visit a IVF clinic asap. I found out that IVF is very expensive and am looking for a natural way to increase AMH level. I am really confused and wonder if ever I will be able to conceive. I would highly appreciate if you could kindly advise. I am sorry you have to deal with this challenge. AMH levels are not thought to determine the quality of a woman’s eggs. As women age, the health of our cells decline and the health of eggs is affected by a variety of things – environmental toxins, unhealthy food choices, lack of circulation to the reproductive organs (ovaries), free-radicals, stress (from work, the conception journey, families, etc. ), hormonal imbalances, genetic factors, autoimmune disorders and illness, etc. There are ways to work to protect and support egg health. To learn what we feel are the best ways to support and improve egg health naturally, please read over our complete Increase Egg Health Guide. We have learned that increasing egg health may help to sustain the follicles a woman currently has, as well as overall reproductive health. I’ve been TTC for nearly 5yrs, without success. I am 34yrs old now. I’ve been told that I’m in the intermediate level for Fragil X, last FSH 17 and AMH 0.21 (July results). In 2012, both fallopian tubes were open, but now right tube is blocked (Dec/2014 HSG result). I’ve been taking good vitamins for years and did acupuncture for one year straight without success. Currently I’ve been taking for 3 months: FertileAid for women, FertilCM, OvaBoost, Omega-3, CO-Q10, Vitamin B as directed on bottle. For last month: FertileDetox, Myo-Inositol for women, Maca and Vitamin D all as directed on bottle. I think I eat a decent diet filled with lots of non organic fruits and vegetables. What do you suggest I try for a change or not? I am sorry for your struggles! We are more than happy to work with you and help you know what to change in your program or not! The very best way to receive a full plan designed specifically for your fertility health needs is to have a Fertility Consultation. Through a Fertility Consultation, you will submit your comprehensive intake form including fertility health history, your three detailed questions and your overall goal for your fertility. Then, within five business days one of our Master Herbalists will review, layout and explain each step of your consultation. Once completed, your Fertility Consultation will be emailed to you as a PDF and you get a live link to an audio recording to save and review as often as you need. You also receive the opportunity to continue your relationship with your herbalist through follow-up email correspondence for a few weeks after receiving your consultation, with any questions you may have regarding your consultation. I am 46 and single. For 2 years I have suffered from Hypothyroidism. I am 5ft tall and 62 kg weight, period is not regular. Now, as I wanted to go for single parenthood through surrogacy, my doctor asked me to go for AMH test. I did and the result is not good, <0.05(ng/ml). So my query, do I have any chances naturally or through medication and diet. Thyroid health can impact fertility, but has also proven to be easily impacted by dietary changes, herbs and nutritional supplement. Consider taking time to refer to Every Woman’s Guide to Hypothyroidism and Fertility. We have also worked with women who have committed to achieving hormone balance and increasing AMH levels who have been successful. I think given the challenges you are faced with, we would be most beneficial to you to consider working one on one with a fertility herbalist who can help create a natural fertility program for you honing in on the most beneficial ways to support your fertility health. We offer this through a Fertility Consultation. I hope you will consider this invaluable experience! I am now 31 years old and I was recently (2014) diagnosed with low amh 0.6. I was told by the RE that the only way that I may be able to have another child (I have a 13 year old girl) is by I.U.I. However all of the other test were normal. I genuinely believe that I can increase my chances of having a child naturally by taking the natural route. I am just confused on what products may be best for me. Can you help me please? I am 32 years old and have never pregnant. I have been trying to conceive for a year but have been unsuccessful. I recently went to the fertility specialist where they did major blood work to check on my hormones because I had a missed period in November and June of 2014. Yesterday, I got a call from the fertility specialist my AMH level is .03!!!!! Is there a chance for me to get pregnant with my own eggs? I am both shocked and devastated to find this out. my whole life I have had two missed periods to find out my AMH level is .03 is a shock to me!! I am so confused and getting too emotional while the rest of my blood work is being processed!!? Any advise or support is greatly appreciated. I am so sorry you are going through this! Being emotional, confused and devastated are understandable. Honor these emotions, cry if you need to, and then take a deep breath. Okay, now take another and now another. While this article through which you contacted us offers important guidance and suggestions, consider also working one on one with our fertility herbalist through a Fertility Consultation if you wish for a personalized program designed for your specific fertility health needs. She is happy to work with you! Take one more deep breath! I send you peaceful, positive energy as you move forward with the best plan for your needs. Thank you for your kinds words and compassion, I am very thankful I have found this great website for support. I plan on seeking a second opinion then follow the natural treatments including vitamins and cleansing kits. You are very welcome! We are glad you found us as well! hello..i’m 27 years old ,in third day of my cycle i had 0.01 AMH and 28.9 FSH…does my amh level means zero number of egg?because i read it’s the Limit of Blank. Low AMH levels indicate low levels of follicles that produce lower levels of immature eggs. As we share above, “Low levels of AMH in women under the age of 40 may also indicate Premature Ovarian Failure. Premature Ovarian Failure (POF) is also known as Ovarian Hypofunction and is defined as a loss of normal ovarian function before the age of 40.” It may help to ask your doctor what these test results mean for you and why this is happening while considering a natural program to increase egg health.